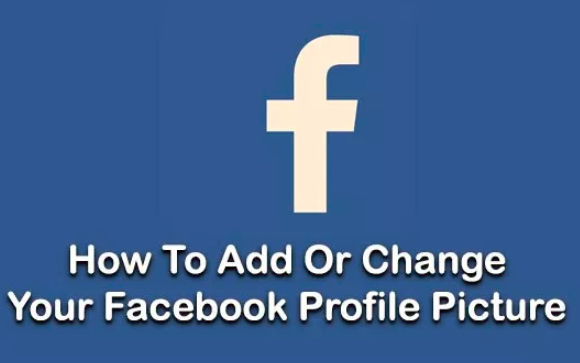 Is your Facebook account picture getting a little old and stale? Adjustment it up a little bit with these steps. - Browse to the image you want to utilize for your profile. - You'll after that be able to chop the photo to your preference. Select "Save", and the photo is established as your account image. - Select the "Make Profile Picture" link, after that pick "Confirm". - Select "Photos", after that navigate to the photo you wish to utilize. - While the photo is presented on the display, touch the three dots (...) at the top-right edge of the screen. -Select "Photos", then navigate to the picture you desire to make use of. -While the photo is displayed on the screen, tap the three dots (...) at the top-right edge of of the display. -Crop the photo to your taste, then select Done when you're completed.